I’ve been called a heretic before. I imagine that most people who teach or write about Scripture and theology have been condemned as a heretic at least once or twice. A person might get condemned as a heretic for not believing in the Trinity, that Jesus was not God incarnate, or that the Bible is not inspired or inerrant. Others might get condemned as a heretic for questioning whether or not Genesis 1-2 teaches creationism, or whether there will be a future rapture of the church. There are all sorts of ways of getting condemned as a heretic. In times past, believing some of these things above could have gotten you burned at the stake. Ironically, if one commits the greatest heresy of all time, nobody will even raise an eyebrow, point a finger, or call you to account. Nobody has ever been fired from their job, burned at the stake, or excommunicated from church for believing the greatest heresy ever. And what is this great heresy that nobody cares about? The greatest heresy of all time is the lack of love toward others. Why do I say this is the greatest heresy? Because love is the only thing that matters when it comes to Biblical and theological knowledge. In fact, I would argue that love is the litmus test for true biblical and theological knowledge. If what you believe about God and the Bible does not lead you to love others more, then what you believe is not true. In Ephesians 4:15, Paul writes about speaking the truth in love. I used to think that while one could speak the truth but not be loving, it was impossible to be loving without being truthful. When I preached through Paul’s letter to the Ephesians about 15 years ago, I taught that if one has to choose between truth or love, one should always choose truth, for there is no such thing as a loving lie. I still sort of agree, but I would never state this idea the same way now. I now believe that if one truly knows the truth, they will also be loving. 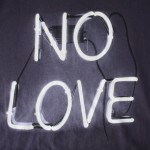 If there is no love, then there is no truth. If truth is truly true, it will also be loving. If truth is not loving, it is missing most of the truth that makes it true. What Paul writes in 1 Corinthians 13 is most instructive. He says that if we have all knowledge – you know, if we can recite the Bible forward and backward, and can argue theology with the best theologians in the world, and can read Karl Barth, and can debate about infra- supra- and sub- lapsarianism, – but have not love, then we have nothing. You see? Without love, there is no truth. Without love, knowledge counts as nothing. 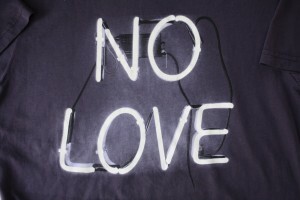 In this way, the lack of love is the worst heresy we can have. But what makes the lack of love even more heretical, is that a lack of love often leads religious people to do horrendous and hurtful things “in the name of Jesus,” which makes these actions not just heretical, but satanic and evil. If two people are performing the exact same hateful actions, but one is doing it “in the name of Jesus,” it is the second person whose actions are more evil and satanic than the first. If I hate a person because I’m mean, well, then that’s just mean. But if I hate a person because “Jesus told me to hate him,” this is not just mean, this is satanically mean. This is why the lack of love – especially the lack of love from people who claim to follow Jesus – is the worst heresy in all. When we hate and hurt and kill “in Jesus name” – we are the greatest arch-heretics the world has ever seen. Which is worse: to teach others that Jesus was not God, or to burn such a person “in the name of Jesus” for not believing that Jesus is God? While the first person might be wrong about the nature of Jesus, the second person is completely wrong about everything related to Jesus, for if they think that Jesus wants them to burn people who don’t understand Him, they haven’t understood the first thing about Him, and should incinerate themselves first. 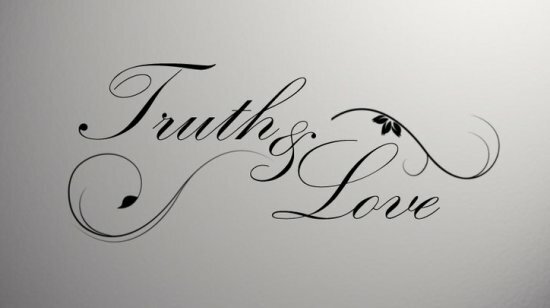 Truth leads to love and love indicates truth. If you have love, then you know the truth. If you know the truth, it will lead you to love. And stop asking to see a church’s doctrinal statement or inquiring about whether or not an author, blogger, or teacher is “doctrinally sound.” The real question is this: “Are they loving?” If so, you can almost bet that they are living in truth as well. So stop seeking the truth. Seek love instead, and you get truth thrown in. Thanks, Jeremy! A nice (and timely given some of the dialogue out there) reminder of a proper order of things and an easy way to notice if I am on a wrong track. I would share this if you were not so busy telling me what to tweet. Really obnoxious and distracting. Hmm. This was more of an attempt to be helpful than annoying. I have been adding these for several months now, and you are the first person to object. I wonder what others think? You might have gotten a little carried away with the “Tweet that” on this post, but it doesn’t bother me. I see it as a way to emphasize what you consider to be the main point or points of the post. There is no love found in supporting sinful behavior. Anyway, there is rarely any love in pointing out sinful behavior in others. 1) Conviction of sin is the job of the Holy Spirit. Unless you are the Holy Spirit, it’s best to let Him convict people of sin while we simply love. 2) We rarely have the relationship with other people that allows us to point out their sin. A loving friendship is a requirement to pointing out sin in the lives of others. If you have no loving friendship, then you should not point out their sinful behavior. 4) Even if the sin we see in them isn’t in our own life, there are certainly numerous other sins which might be in our own life which need to be taken care of before we have the right to point out sin in the lives of others. Chief among these personal sins might be an arrogant lack of love. Great summary! I did not see anything in the post that suggested “supporting” anyone’s “sinful behavior”. So much damage has been done by those who decided to “confront” what they think is someone else’s sin. Good article. As Christians, we seem to be more concerned about pointing out the sins and mistakes of others rather than loving the person. Loving someone doesn’t mean we agree and condone everything they do. As mentioned about, Jesus told us to love God and love others, he did not tell us to convict others of their sins, which is the job of the Spirit. He did not tell us to judge and condemn our fellow human beings. We are to show God’s love to ALL we meet and have contact with every day. Jesus did not condemn anyone other than the religious people who thought they were better than everyone else because of the good things they did. They did not realize that the good works they did were no more than filthy rags when compared to the goodness of God. It is by grace we are saved, and it is by grace we live as children of God every day. Obviously we can’t always be loving in our own strength, but with the Spirit of God living within us, His love can shine through and make a difference in the lives we touch. Yes! Right on. Even Jesus, who could judge us, said that He did not come to judge. I have been reading your commentaries and have been coming to your website for a few months. I think you are so on target on a lot of topics, especially about grace, justification and sin. I have always felt like you do about these issues. I think that God is a lot more merciful and gracious then the church or other christians have portrayed him to be. I so most agree with you on the issue of love. It is so true, pointing out sin is the job of the Holy Spirit. Only God can judge anybody perfectly because he has all of the information. When we judge or condemn others we are doing it mostly by being biased and we don’t know the motivations and intentions of the heart of any person, only God knows that. I believe that ONLY God can judge fairly or condemn someone fairly for he is God and he is perfect. I have found myself also breaking the chains of legalism and relationship with God based out of fear. I don’t believe God is always angry at us pointing the finger and constantly focusing on our sin. Like you have said at other times, we sin everyday both willfully and involuntarily, and God knows that, and I believe Jesus paid the price for all of our sins and I believe ALL of the sins of the whole world not just the elect. I believe as Jesus said “It is finished”. Gladys, I am so glad you are finding some of what is on this website helpful. Thank you for letting me know! I have been away from writing more commentary for several years now, but that is primarily because I have been trying to rework a lot of my theology. I think I am getting to the place now where I might be able to get back to the commentary. Maybe. I’ve finally figured out where I’d heard this philosophy before. Back in the days when Hippies were alive and well, and migrating into the countryside, a not uncommon pickup love was that God is Love, therefore making Love is doing God’s Will. Greek term is used for the English word love, as well as its variants. It is also true that the latter terms can be misapplied as misnomers, especially by people who are not grounded in truth. Love and truth should be partners, not antagonists. For the past three years I’ve been immersed in writing Elmina’s Fire, a fictional spiritual memoir of a young nun during the Albigensian Crusade. She wrestles with just these questions. I’m hoping my readers will both come down where you have on the question of what constitutes the Church and have compassion for those who found themselves (ourselves) complicit in its evil.